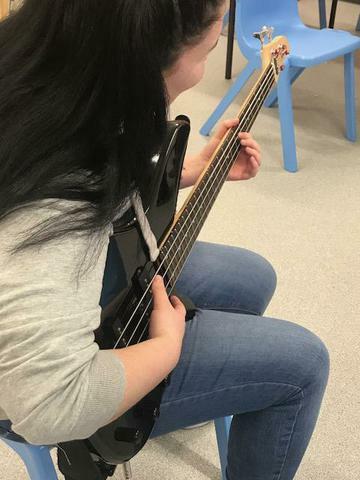 In partnership with the BCBC Lead Worker team and Community Music Wales, KS4 pupils have been enjoying "Rock School" after school club every Wednesday this half term. 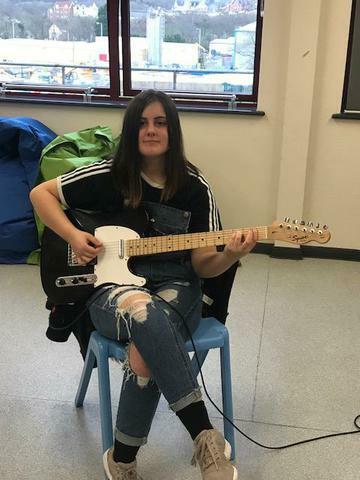 4 pupils have chosen to stay and learn from scratch or develop thier existing skills to play electric guitar with Matt and Dan from CMW. The goal is to increase confidence and to enjoy music, culminating in a "performance" at a level everyone feels comfortable with. A great opportunity to experience real music and be part of making it!